Ziggy Elman t / Hymie Schertzer as / Russell Procope ss, as / Jerry Jerome, Chu Berry ts / Clyde Hart p / Danny Barker g / Milt Hinton sb / Cozy Cole d / Lionel Hampton vib. 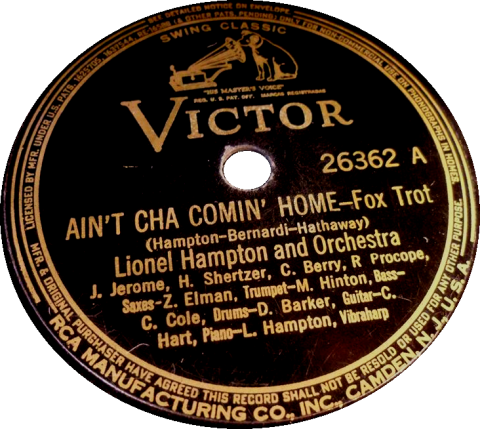 Recorded in New York on June 9, 1939. 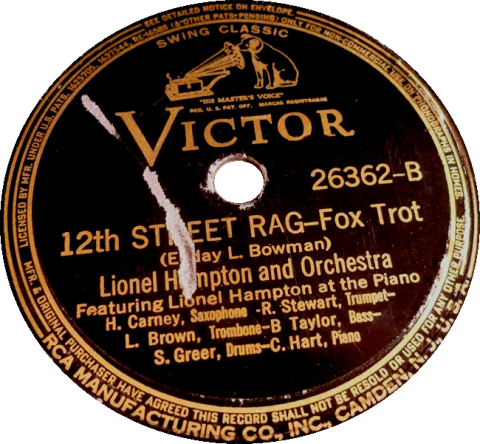 Rex Stewart c / Lawrence Brown tb / Harry Carney bar / Lionel Hampton p / Billy Taylor sb / Sonny Greer d.
Recorded in New York on June 13, 1939.